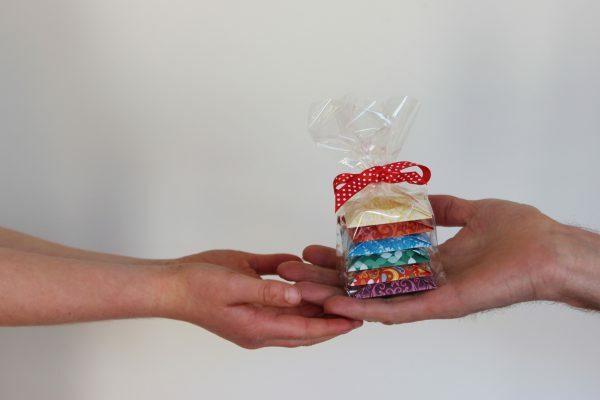 The beautiful and delicious hand wrapped chocolates feel special and are … a Divine moment. The size and value of the chocolates allows you to use them in a range of ways. The variety of chocolates and designs allow you to choose a range that suits your client or the occasion. It’s small, but it is special and it has a lasting impact. We work on establishing good relationships with our clients. 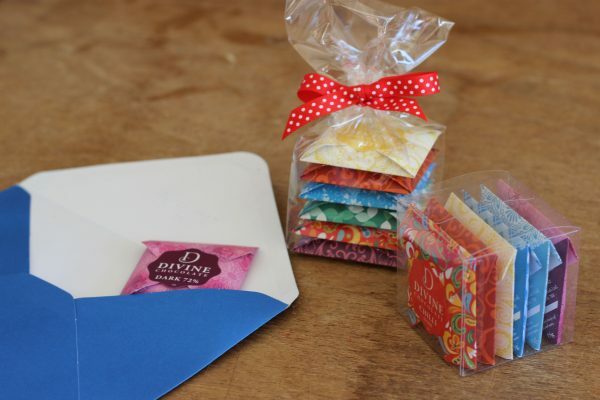 Divine chocolate allows us to give something small and meaningful to our clients to say thanks and show we care. It is the small things that make the biggest difference. We just pop the chocolate in the envelope that we are sending out to our clients …to say thank you. It is a simple way to make a connection. My clients love the chocolate and the thoughtful touch. We had a personalised chocolate wrap created by Jo and Nic . The chocolate looks and tastes absolutely outstanding. We now have a easy and effective way to get our brand in our customers hands and our clients love them. Get in contact with Jo or Nic. We love to help.